Chapter 7 bankruptcy is the most common form of personal bankruptcy in Texas. Chapter 7 bankruptcy may also be known as liquidation bankruptcy, individual liquidation, or straight bankruptcy. Essentially, all of an individual’s unsecured debts are liquidated. Chapter 7 bankruptcies are designed to wipe out your financial obligations and to offer you a clean, debt-free new financial beginning. In a Chapter 7 bankruptcy, a trustee will collect your assets and liquidate those that are not protected under Texas bankruptcy exemptions. The net proceeds of the liquidation are then distributed to your creditors. It sounds simple enough, but the bankruptcy process and the requirements are actually quite complicated, and you will need the assistance of an experienced Texas bankruptcy attorney. Chapter 7 bankruptcy is designed primarily for those persons without a regular monthly income or whose income is inadequate to pay their debts. Anyone who filed for Chapter 7 bankruptcy on or after October 17, 2005 must receive credit counseling in the six months prior to filing for bankruptcy. You also must complete a financial management instructional course after filing, as required by the 2005 Bankruptcy Act. Your average monthly income for the previous six months will be compared to the current median income in Texas. If your income is below the current Texas median, you qualify for Chapter 7. If your income surpasses the current median, another means test is used to determine if you qualify for a Chapter 13 bankruptcy. You’ll need an experienced and trustworthy bankruptcy lawyer by your side. 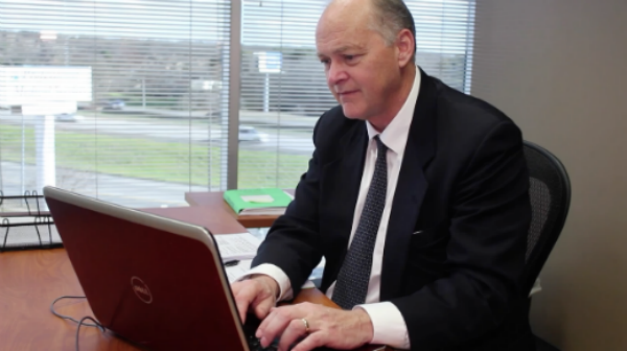 Contact Dallas Chapter 7 bankruptcy lawyer Richard Weaver before taking any legal action regarding bankruptcy. Richard Weaver can help you determine what property and assets are exempt based on the Texas bankruptcy exemptions. Call Dallas Chapter 7 bankruptcy lawyer Richard Weaver for advice and help when you need to file for Chapter 7 bankruptcy. Call (817) 422-5929 or (214) 960-4125 to retain the legal counsel you’ll need.